TODD Peacefully, at Victoria Hospital, Kirkcaldy, on Tuesday, September 11, 2018, Adam Todd, aged 87, of Garry Park, Glencraig, beloved husband of the late Jean Crombie Todd and much loved father, grandfather and great-grandfather. Funeral at Kirkcaldy Crematorium, on Thursday, September 20, at 1.30 p.m. All welcome. 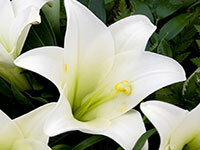 Family flowers only, please, but donations may be made, at the Crematorium, in aid of Chest, Heart & Stroke Scotland.